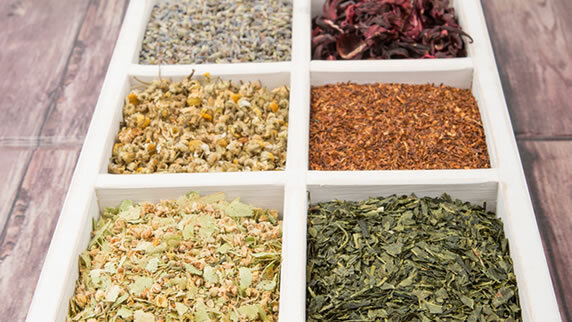 The reason why detox teas work is because of their unique ingredients. Teas naturally contain healthy chemicals that are incredibly beneficial to the body. 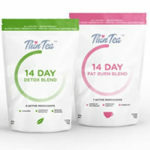 The range of detox teas is becoming vast as companies produce their own brands with special selections of different teas. There is an impressive 1,500 types of tea in the world. This leaves a huge window of tea options for companies to choose from. That being said, different types of teas offer different benefits. So by knowing these ingredients and what they do, it will help you when you’re choosing the perfect detox tea. Let’s look at some common detox tea ingredients and see what they do. Green tea is a favorite among researchers, health practitioners, and tea drinkers. 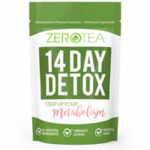 This tea contains flavonoids and caffeine that have been researched to show an increase in metabolic rate, more fat oxidation, and improved insulin activity. All of these factors make green tea a great fat-fighter. Green tea also increases thermogenesis and energy levels, which also helps with weight loss. It’s also packed with antioxidants and anti-inflammatory properties that protect and nurture a healthy body. Black tea is also incredibly popular and accounts for around 84% of all tea that’s consumed. This tea has polyphenols, which are special compounds that allow it to block fat absorption. Research suggests that drinking just one cup of black tea a day can lead to better cardiovascular function. White tea is special because it’s dried naturally, often times through sunlight. This means that white tea is one of the least processed and richest of all the teas. This particular tea has been shown to reduce the amount of new fat cells created and also boosts metabolism. It also has L-theanine, which works in the body to lower stress and improves mental focus. The leaves of oolong tea are only partially oxidized (compared to being fully oxidized like black tea) and have a bold yet smooth taste. Oolong tea has a rich supply of catechins, which has been shown to elevate the amount of fat metabolized by the body. This increased function leads to the promotion of weight loss. Oolong tea also contains polyphenols, which are antioxidants that help block fat absorption. It’s also been shown to help normalize high blood pressure. Rooibos tea contains aspalathin flavonoids, which are compounds shown to lower the stress hormones that trigger hunger and the storage of fat. The consumption of aspalathin flavonoids are also suggested to ward of diseases and ailments such as type 2 diabetes, heart disease, and high blood pressure. Pu-erh tea is a fermented black tea that has a smooth and earthy taste to it. This tea contains catechins and gallic acid, which help inhibit the absorption of fat. Pu-erh tea has properties that activate enzymes in the body that shrink the size of fat cells. It’s also been shown to boost metabolism and increase weight loss. Yerba Mate Tea contains polyphenols and xanthines that have been shown to boost thermogenesis and also the body’s metabolism. This tea also has calorie burning properties and caffeine, which make it a great pre-workout option for increased energy and weight loss. Peppermint tea contains menthol and provides a delectable taste and scent. Studies show that certain scents help suppress your appetite and one of those scents is mint. It may help reduce hunger and keep your sweet tooth at bay. Lemon tea has d-limonene that’s also found in citrus rind oil, which has been used for centuries as a natural diuretic. This tea is beneficial for reducing puffiness and any bloating due to water retention. Bilberry tea contains flavenoids and catechins and can help curb your appetite. This tea is naturally sweet so it can be utilized as a guilt-free substitute for sugary desserts. It’s also packed with antioxidants that have been shown to lower the levels of blood sugar in the body. Parsley tea has flavenoids, luteolin, and apigenin and acts as a diuretic. This tea aids in the cleansing process and can reduce belly bloat by helping shed excess water weight. The active properties in Dandelion tea are apigenin, luteolin, and gallic acid. This tea also acts as a diuretic and can help lower water retention and bloating. It’s also suggested to help soothe an upset stomach. Milk Thistle is known for its benefits with the liver. This tea has an active ingredient called silymarin. This ingredient helps repair the liver and acts as a natural detoxifier. Senna leaf is an extremely powerful laxative with an active ingredient called chrysophanol. This laxative tea promotes daily bowel movements while taking. Since it’s stronger than other tea laxatives, its use should be very limited or avoided for gentler laxatives. Hibiscus tea contains antioxidants and anthocyanins and can boost metabolism. It’s also naturally sweet so it can used in place of sugary snacks or desserts. Ginger tea has vitamin c, magnesium, and other minerals that offer a wide range of health benefits. Ginger tea can help relieve nausea, reduce inflammation, improve digestion, and improve blood circulation. This tea has also been suggested to relieve stress and boost immune function. Burdock root contains a great deal of antioxidants including luteolin, phenolic acids, and quercetin. These antioxidants help protect the body from damaging free radicals. Some studies even suggest it may help slow the growth of tumor cells. This tea may also help protect the liver and detoxify the blood. It also has a gentle laxative effect to help with cleansing. As you can see there are a great deal of detox tea ingredients and we only got to touch on some of the most common ones. Each ingredient has special benefits on the body. This list will help you choose detox teas with your particular needs and wants in mind. 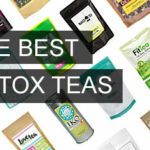 If you need help finding that perfect detox tea, take a look at our list of the 10 best detox teas!